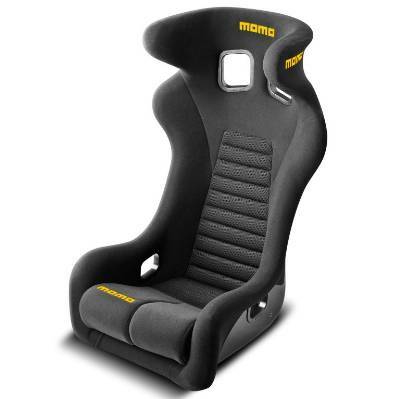 MOMO DAYTONA it is a HANS compatible fiberglass seat for club race and rally use. The particular shape of the upper part reduces lateral movement of the helmet and protects the driver's head. Kinder Point on the seating area as well as on the shoulder area for maximum grip. Carbon look inserts stylishly preserve contact areas. Double leg cushion optimize support. 5 & 6 point seat belt openings. Daytona XL intended to fit any driver up to 40" waist properly.